Pile Coordinate App extends Autodesk® Revit® capability to schedule the X, Y, Z and Easting and Northing Coordinates from Structural Column and Structural Foundation/Pile. The app extends the standard Revit family “Structural Column/Pile” and “Structural Foundation” category to add a schedulable parameter which holds X, Y and Z or Easting and Northing coordinates values. Reduce the design/documentation costs and Increase productivity. 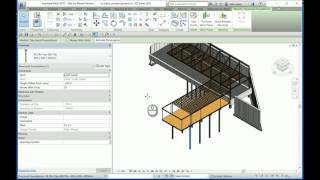 Simplify and accelerate workflow for all Revit users | Simplified UI elements and visualization methods. Eliminate costly human error | Fast and reliable output | Eliminate tedious manual process. Very good tool. Simple and easy to use. Great service too. Respond very quick. Very good, Massive Time Saver. Great customer care. Very useful app and great customer care! But how can I make TAG in revit 2016 ?Please Help. This is really very good app. I found very useful in my project. This could be very good if we get the same Coordinates information through TAG in model space. very good, it is useful to coordinates supported the best add in which i known.